Here's a quick and easy way to insert some nutrition into your day, or stick to your weight loss goals. This smoothie is a daily treat for me. It's packed full of goodness for this Goddess! Rather than cutting and chopping everything each day as I want to indulge in one, I take about 20 minutes each week to cut, chop, slice and pour everything at once and freeze. 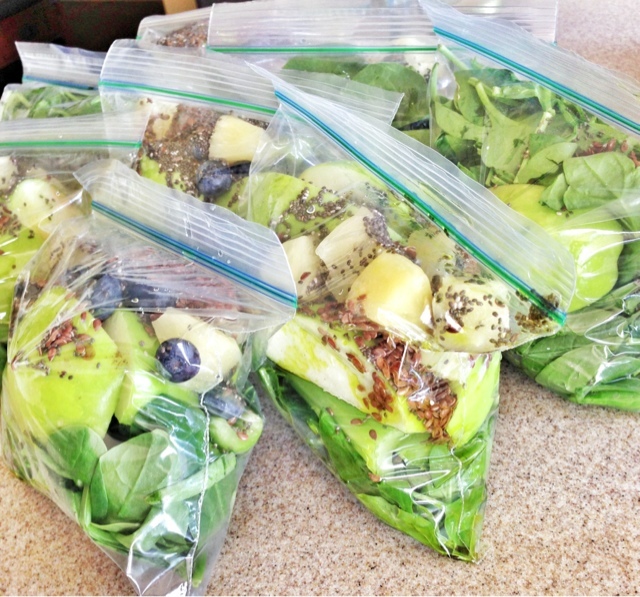 When I am in a hurry and need a quick meal or snack, I can simply pop into the freezer and take the baggie out and blend. This can be the entire smoothie itself which is quite delicious, or it can be a base that you add upon. Add more fruits, protein powder, Greek yogurt for protein, etc. So- here is my recipe but you can't really go wrong adding whatever you want. Stick to one stalk of celery unless you want it more bitter. 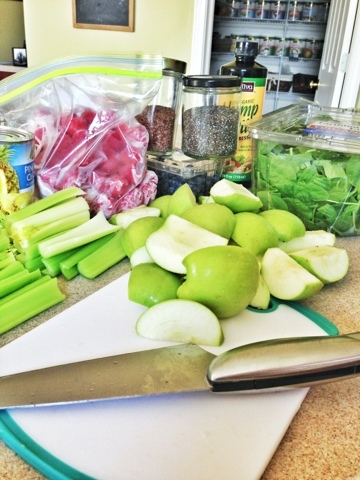 Place those ingredients into a baggie and freeze. 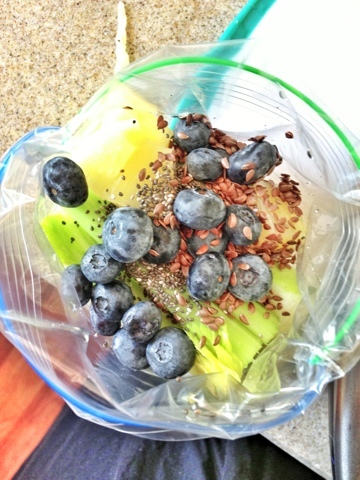 When ready rip apart the baggie and place into a blender. At this point you can add almond milk, water, juice or some yogurt to emulsify the smoothie. Blend and enjoy. You may be asking yourself "what in the world is hemp oil." It's a cold pressed oil from hemp seeds that is quickly growing in popularity because of the health benefits. 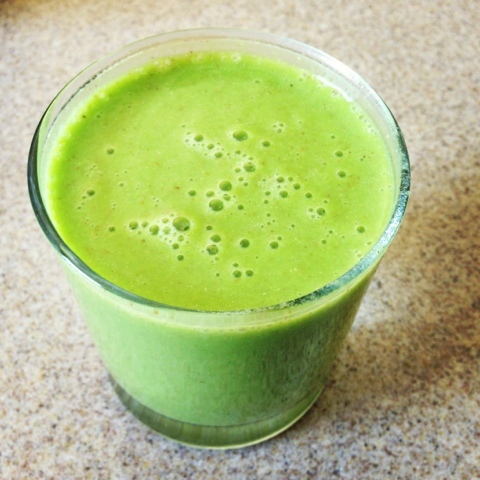 It has a slightly nutty taste and is a gorgeous bright green color. We use it on salads, marinades and obviously smoothies. It's rich in Omega 3's and go here to find out more. For me in this crazy, fast paced life we are in, this is a quick and easy way to provide nutritious snacks for my family. My kids adore these smoothies and as a mom, that helps ease my conscious if sometimes I can get them a healthy alternative to all the junk food out there. Go make these, prep once and save yourself lots of time. This smoothie looks great! I make one a few times a week that's similar:) Great idea to freeze your veges!! Thanks Leslie! Come back again.